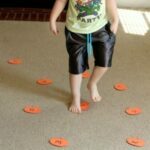 This ball theme alphabet activity is fun way to practice identifying letter sounds while kicking a ball. Kids will love the chance to move and learn! This week the PLAYful Preschool theme is Balls. 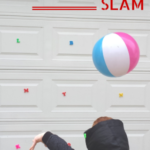 The team has planned a bunch of playful ball-themed lesson plans for you. Make sure to check them all out below! Evan loves balls. 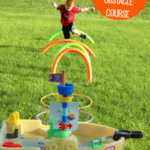 He also loves when I plan learning activities that give him a chance to throw or kick a ball. 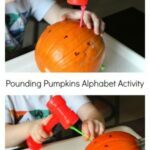 As a result, this ball theme alphabet activity was highly enjoyed by him! 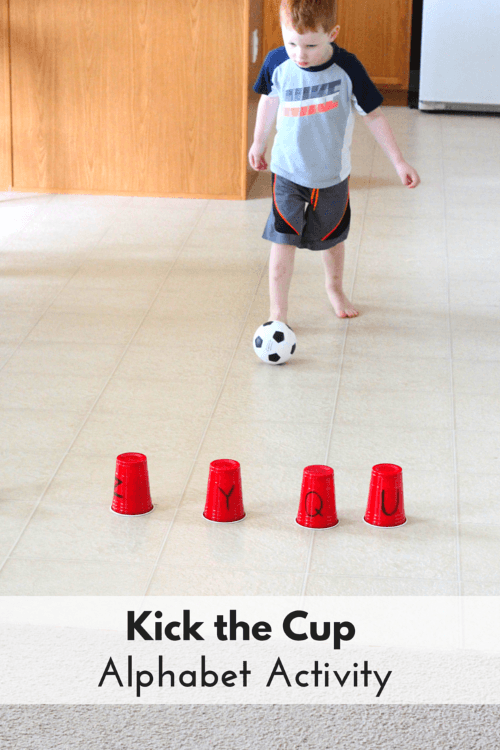 If your child loves to kick balls, then I bet they will enjoy this activity too! 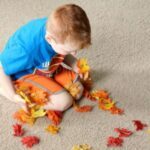 This activity is very easy to set up and do with your child. You only need a few simple materials that are easy to pick up at the store. 1. Write a letter on each plastic cup with permanent marker. I actually wrote the lowercase letter on one side of the cup and the uppercase match on the other side. This way I can turn them around to work on both versions of each letter. 2. Line the cups up in a row on the floor. Evan stood facing the cups with the ball in front of him. 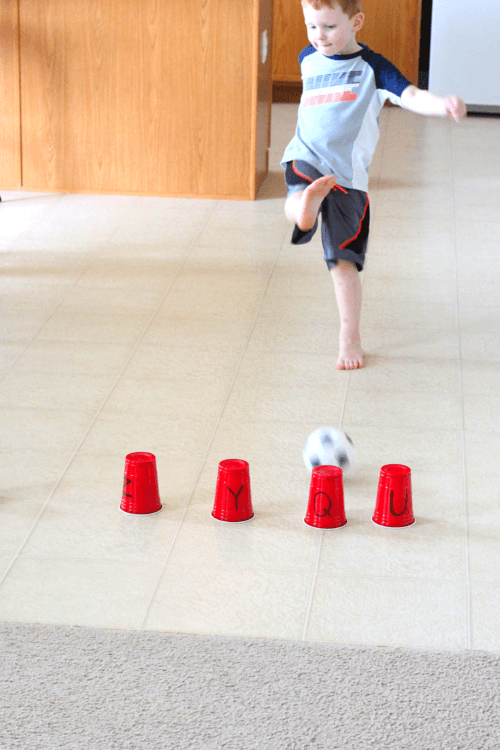 When instructed to kick, he kicked the ball towards the cups and usually knocked one or two of them over. 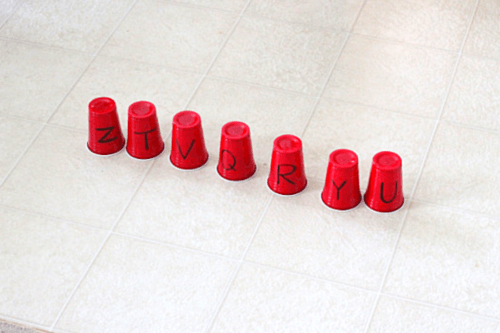 He then went over to the cups he knocked over and identified the letter on each cup and the sound each letter makes. 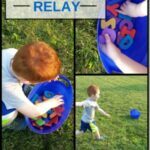 Sometimes, he aimed for a specific cup and letter, but he preferred kicking the ball wherever he wanted and then identifying the letters. In the beginning, we added the cups back to the row each time. Eventually, he had the idea to knock cups down and keep them down until there were no cups left in the row. He also enjoyed rolling the ball like a bowling ball and knocking the cups down that way.